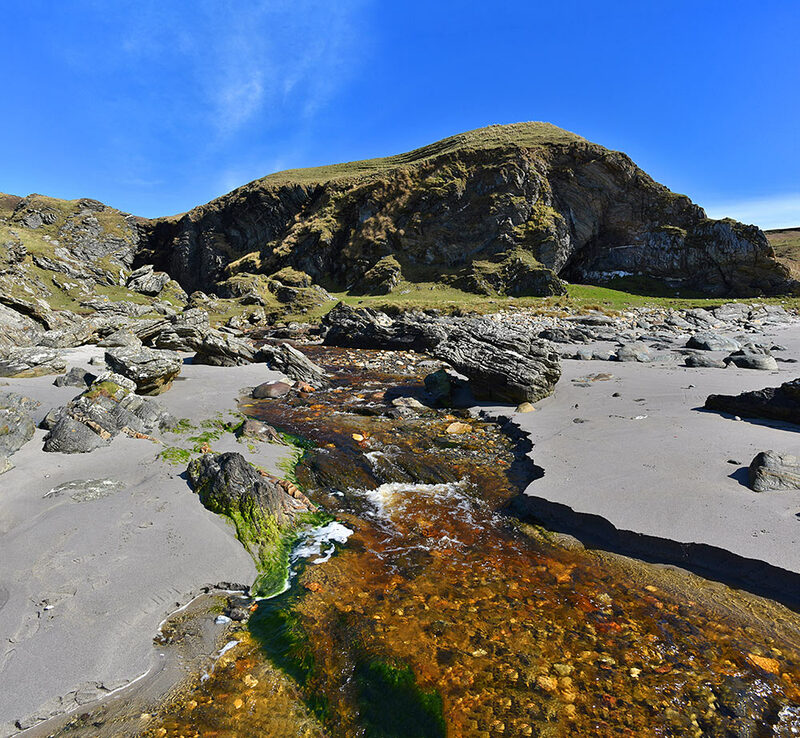 A panoramic view of the shore at Alt a’ Ghamhna near Lower Killeyan on the Oa. I wonder if some of the rocks and sea stacks are the remains of natural arches or similar many many many years ago? Pictures for the panorama taken during the Islay walking week in April 2016. 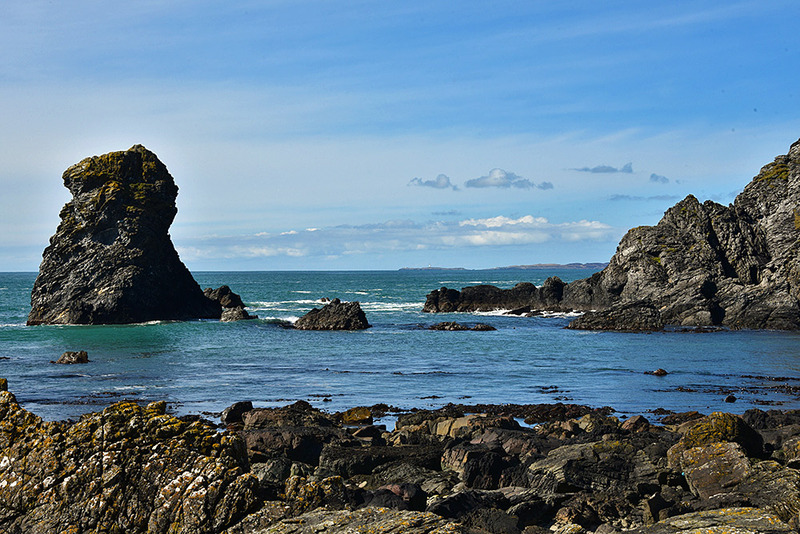 A view from the beach below Lower Killeyan, at Alt a’ Ghamhna. The view goes between some of the rocks stacks out to sea and over to Orsay (if you look closely you can just make out the Rhinns of Islay lighthouse) and the southern tip of the Rhinns of Islay with Port Wemyss.